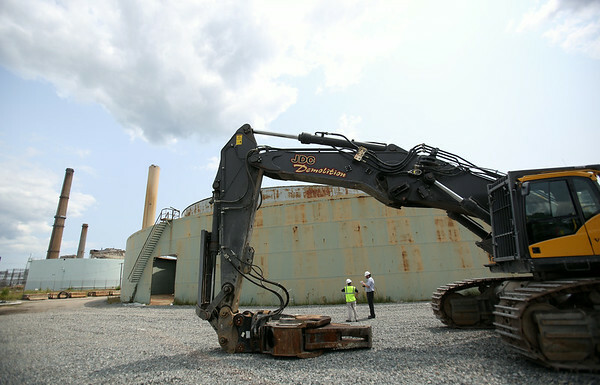 An excavator with a shearing tool attached to the end sits next to the B5 Oil Tank inside the Salem Power Plant as it waits to tear down the old tank. B5 was the first of the tanks to be taken down. DAVID LE/Staff photo. 7/30/14.